zenpundit.com » Blog Archive » Where’s Ms. Waldo? 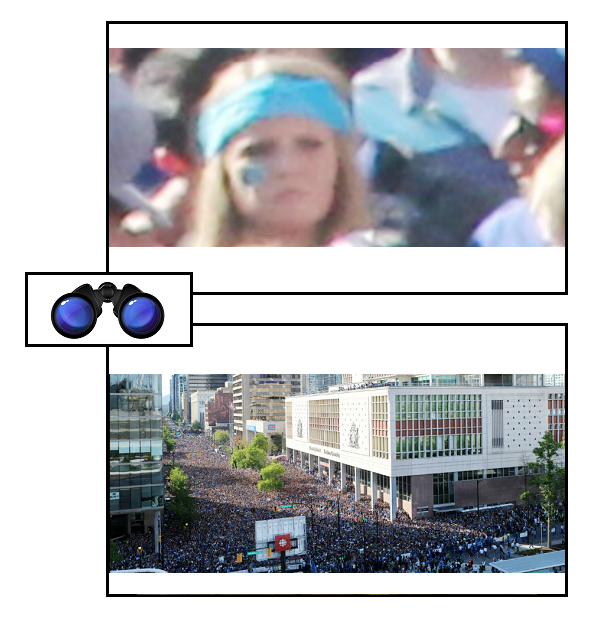 in this crowd, if you already had another photo of her? Click here and give it a try. Next question: how long would it take the best pattern recognition software in the world? For bonus points: how many cameras like this are there in the world, who has access to that kind of software, what countries are cameras and software in, what kinds of agencies use them, under whose supervision, how easily hacked — and how many such photos will have been taken, grand total, by the end of 2013? You can give that one a whirl, too: feel free to zoom in and out. This entry was posted on Sunday, July 7th, 2013 at 7:10 pm	and is filed under 21st century, Charles Cameron, Creepy-state, Patterns, surveillance, Uncategorized. You can follow any responses to this entry through the RSS 2.0 feed. Both comments and pings are currently closed.